Back to Wünderland & Co.
4 Reviews for Wünderland & Co. I did all of the planning for my wedding, including all the decorations and placement of everything. I needed someone to help execute my planning the day of and I needed someone I could fully trust. Wunderland did exactly that and I had NO stress and NO worries the day of. I didn't have time to put together my guest table cards onto the wooden pallet I brought, and they took care of this for me the day of! Wunderland knew exactly what I wanted and didn't bother me with any questions the day off, only which type of beer I wanted while I sat at my sweetheart table with my new husband! I would HIGHLY recommend Wunderland to anyone and everyone. Truly a company that is going somewhere and makes your wedding day much less stressful! I had the pleasure of working with Maria for not only my wedding, but my bridal shower as well. Maria was not only my wedding planner, but to her surprise she became a counselor as well. I was so overwhelmed by the process and the details, however having Maria by my side and walking me through the process made it much more bearable! She talked me off the ledge numerous times and kept me trucking along to make sure I made all of my deadlines and selected vendors. We had a very non-traditional wedding reception and Maria constantly reminded me that this was mine and my husbands day and to not worry about what everyone else thinks. 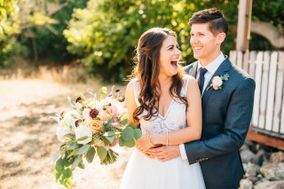 Maria was very proactive and constantly took initiative to keep my wedding process moving along, but insured that my opinions and taste were being met and incorporated into this special time in my life. The day of the wedding Maria working with all of the vendors to ensure that any missteps were kept from my knowledge. She did an amazing job of keeping the day light and fun, yet very organized and methodical. I was really worried that my vision for the day would not be exactly what I was wanting, but somehow Maria took my vision and put a cherry on top! Originally I did not want a planner involved, however after going through the process I don't know how I would have done it without Maria. One thing I know is that it definitely would not have been nearly as smooth! I cannot thank Maria enough for her handwork, timeliness (which is hard to come by) and professionalism! She truly took my special day to the next level! I highly recommend Maria! I highly recommend and endorse Wunderland & Co.! From our initial meeting with Maria Irwin through the planning stages and until the culmination of our wedding, Maria was a complete joy and blessing to work with. Her creativity, attention to detail and professionalism is beyond exceptional. Our wedding was a beautiful, magical event- we couldn't have asked for anything more. Thank you so much Kris! It was an absolute pleasure to work with you on the full planning for your wedding. You're wedding was so beautiful down to the last detail and I was happy to be a part of it from start to finish in your gorgeous new home. I wish you and Bill many years of happiness! Wünderland & Co planned a beautiful couples wedding shower for 40 of our friends and family. The details in everything from the decor, to the games and the food were astonishing. The shower had a casual, yet elegant feel. She also managed to make it feel like a shower that was appropriate for both the male and female guests. Everyone had a wonderful time, I could not have asked for a better experience. Thank you Janae! I am so happy to hear that both you and your husband loved the shower! All of the details can together beautifully and it was one of my favorites to plan from start to finish.